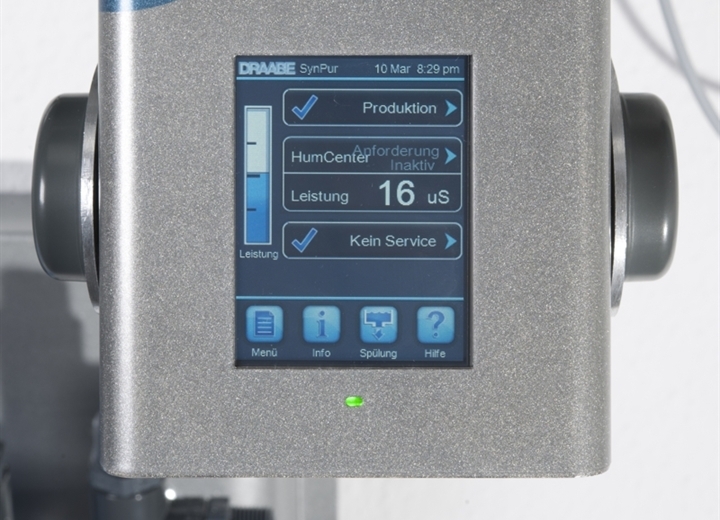 The DRAABE SynPur conductance synthesis unit is designed to meet the additional requirements for clean room humidification in applications such as in the electronics industry, in museums or in offices. 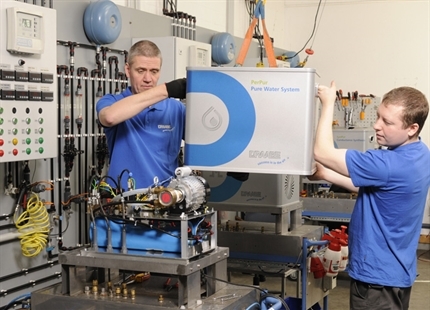 As an optional add-on module, the system conditions the feed water (reverse osmosis water or demineralised water) and provides it to the downstream humidification system. Like the other systems, the SynPur is built into a modern, portable container for easy exchange during servicing. 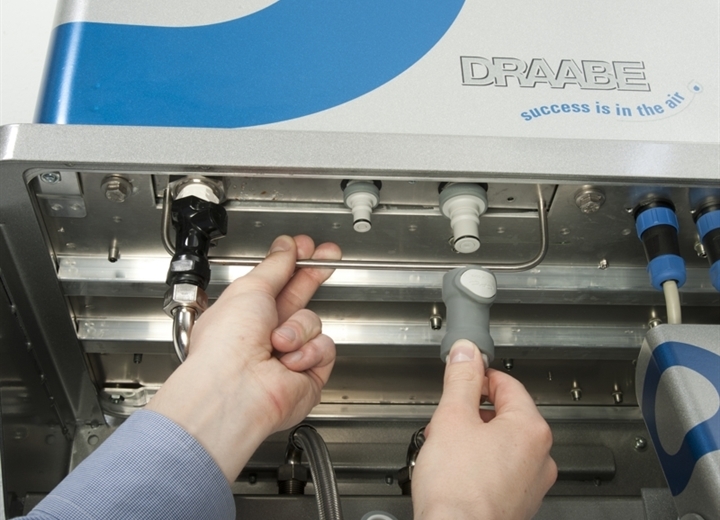 As part of the DRAABE full-service contract each SynPur system is replaced every 6 months with a fully serviced and disinfected container. All costs for hygiene inspections, disinfections, replacement parts or malfunction incidents are included in the full-service package. In addition, technical innovations and updates will automatically be updated, so that each SynPur System can grow with you and will never get old. 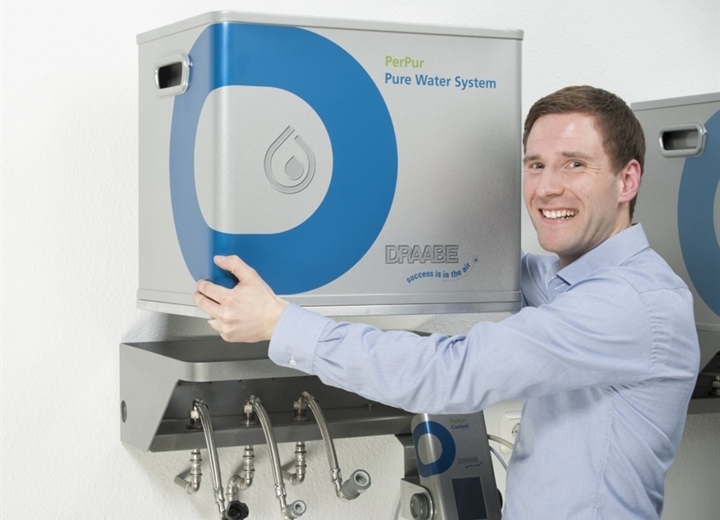 Patented DRAABE synthesis technology extracts all residual minerals from the feed water, guaranteeing that there is no additional mineral discharge into the room to be humidified. Optimum determination of conductance ensures that 100 % of the feed water (pure water) is conditioned. 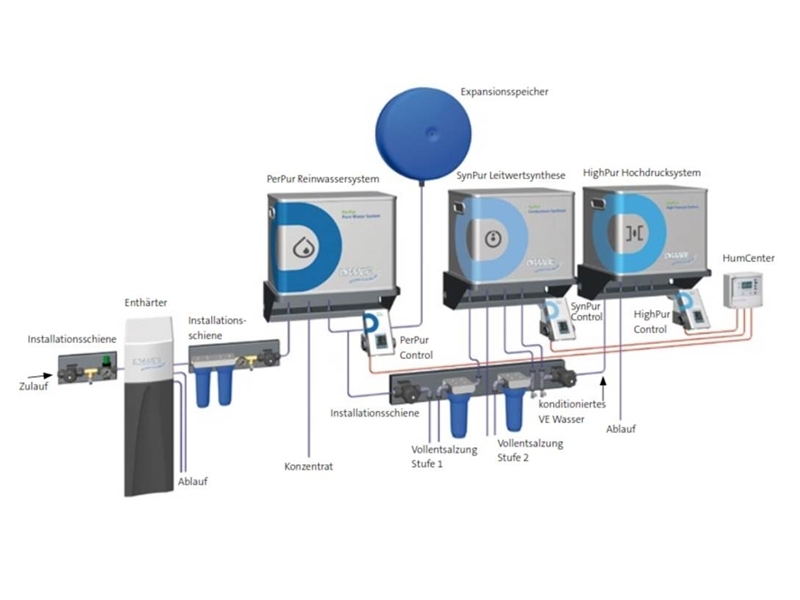 Our microprocessor control technology guarantees complete demineralisation while at the same time minimising the use of consumables . 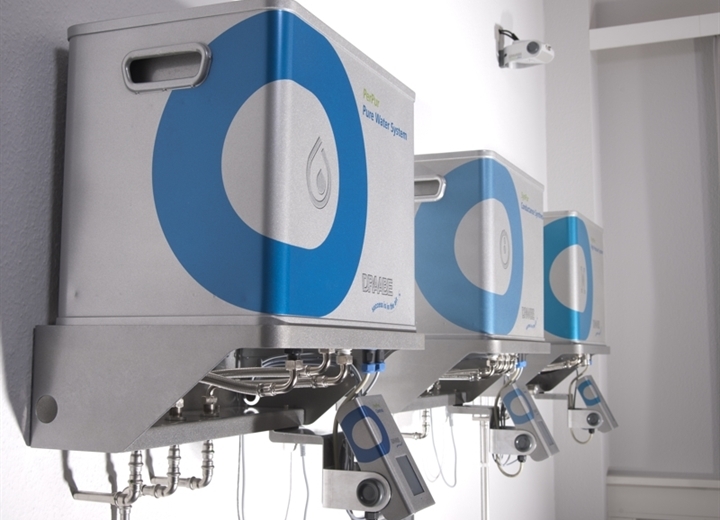 Patented clean room humidification - DRAABE synthesis technology extracts all residual minerals from the feed water, guaranteeing that there is no additional mineral discharge into the room to be humidified. Full-service package with lifelong warranty, automatic updates and always 100% hygiene and high performance. 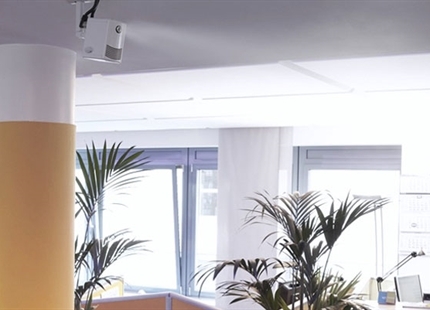 Maintenance-free for the user by means of automatic container replacement. 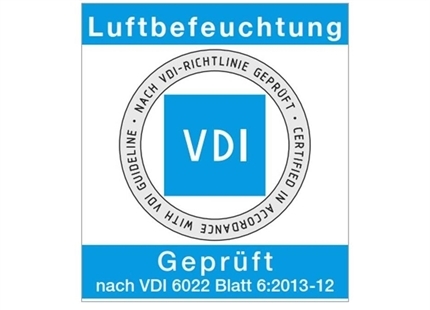 VDI-certified - DRAABE systems are certified in accordance with VDI guideline 6022 Sheet 6 and thereby meet the standards of the current state of the art. 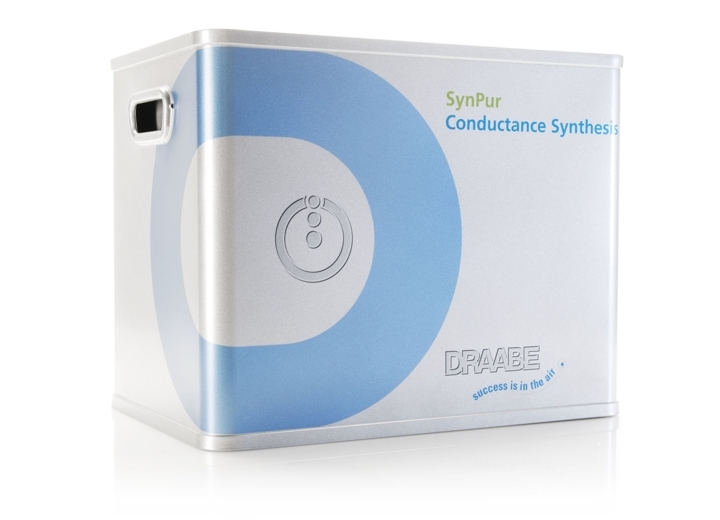 Do you have questions about the SynPur conductance synthesis?